5 more websites to sustain us for the rest of the week of April 12th. So you’re sitting at home and the weather is finally starting to break and you’re thinking, “Maybe I should just move to LA and become a movie star.” Seems like a solid plan. With that being said you might want to go to Hollywood Profiles “We are the absolute best resource on the internet for talent and casting agents alike. Post your profile and get noticed! 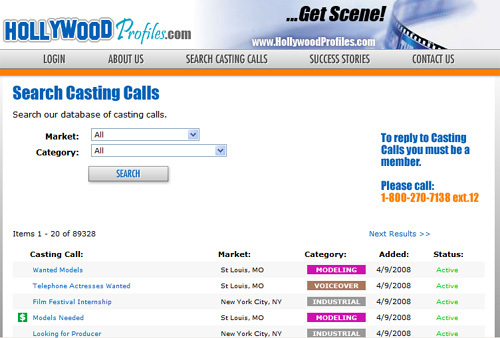 Or search our extensive database for the perfect talent for your project.” And no they are not paying me. Actually they were getting some major play and were mentioned as a site on the rise. LocalPages Seems to be pretty cool. It has a nice clean interface but looks like it might be heavy on ad driven content. I played around with it a little bit and it has a nice LBS feature as well. Moli was an interesting site. Picture a website for Sybil. Sybil was a book and movie that told the story of a woman who was treated for multiple personality disorder in which she had up to 16 co-existing personalities. Moli allows you to create multiple profiles that you can use depending on who you interact with and what you want them to know about you. The name is a bit odd though. SpiralFrog is another music site but for now it’s offering free songs. Though they do force you to load a “download manager”. Which always makes me nervous. But hey… Free music right? Vlaze hot original content…hmmmmm, that was the pitch. Vlaze delivers original video content while connecting artists and entertainers to a global audience. Vlaze features a 24/7 live television stream with a full-lineup of daily programming, a Vlaze On Demand content library, and an interactive social network. 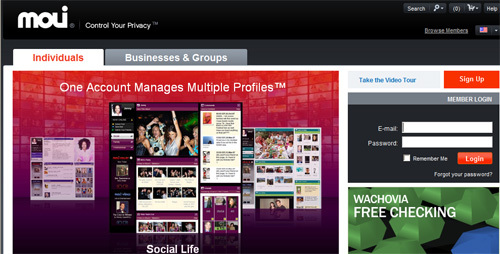 It appears to be an interactive, streaming media, social networking content driven site. Well I hope you make it till the weekend with these and we’ll see you on the flipside. If there is a site worth mentioning let me know and we’ll check it out. If it’s worthy. You’re in! I was watching American Idol last night with the kids and we saw according to the girls, dreamy dread guy, Jason Castro. One of the kids asked how are dreads made, and I said, “Uhhh… you don’t bathe for a really long time and with mud, right?” Apparently I was way off base. For those of you just like me, here is a good site telling us all how Dreadlocks are created. For those times when you are randomly asked how dreads are made. Driving down the street the other day, one of the kids asked about why gold and silver are so valuable. I proceeded to tell them about all the gold in Fort Knox. I figured it would be a good moment to reflect on it being the place that Goldfinger wanted to rob in one of the more memorable James Bond Movies. They didn’t really like that part of the answer. Although, It might have been because of my descriptive story of how Oddjob threw his hat to cut off the statues head. Huh? What’s dad talking about? However, upon further research, This site that I came upon might be a good one for the kids. It not only explains the US government in a very engaging fashion, but also the U.S. Treasury It’s a fun and very interactive site as well. Speaking of cool kid sites; and in an effort to enrich their lives beyond killer graphics in Call To Duty IV, check out this site for the New York Philharmonic for Kids. Want to keep children engaged in music, any music? classical music? Then, here is one that will captivate. It’s a map based live music locator that shows you where all the live music is, in a radius that you can control. LBS for you live music junkies out there. Very cool, easy to use and it’s quick. And you thought I could go this long without mentioning something about another interesting social media site? Hah! Well…You know how everyone sometimes sits around and someone will offer up their two cents on why not do this, this way, and that maybe they should do this, that way? Did that make sense? Well anywho, now there is a site called, lo and behold, “WhyNot?” It’s a social site that allows you to communicate, submit and exchange your ideas with others. Based on a popular book, of the same name, the site is an extension of the book that simply provides solutions to problems big and small. That should at least get you to Sunday. Am I missing a site that would compliment the topics above? Shoot it on over and I will add it to the next list. LifeRemix is basically a band of bloggers who enrich people’s lives through blogging. The blogs are hand-selected, and each one is incredible. They have excellent writers, and their content is quite unique. Bookmark and visit it from time to time and see what you think.